This is a guide about grilled tomato basil cheese sandwich. This recipe combines delicious, gooey cheese with the wonderful flavors of basil and tomato. 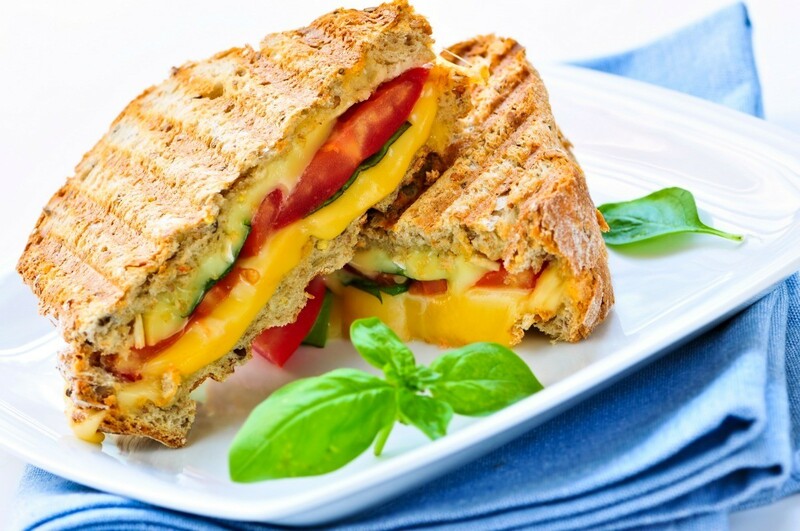 If you already love grilled cheese sandwiches, why not give this fabulous version a try! Yummo with Tomato Basil Soup! Layer the cheese and tomatoes on 2 slices of bread. Evenly sprinkle with parmesan, basil, vinegar, salt and pepper. Lightly coat both sides of the bread with olive oil. Cook the bread slices on one side for 2 minutes or until lightly toasted. Remove slices from the skillet and place toasted side up on plate. Top one of the toasted slices with the cheese, tomato and basil and then place the other slice of bread toasted side down. Place the sandwich back into the skillet and cook until toasted and the cheese is melted.